First there was the Jambox. Then, there was the Big Jambox. 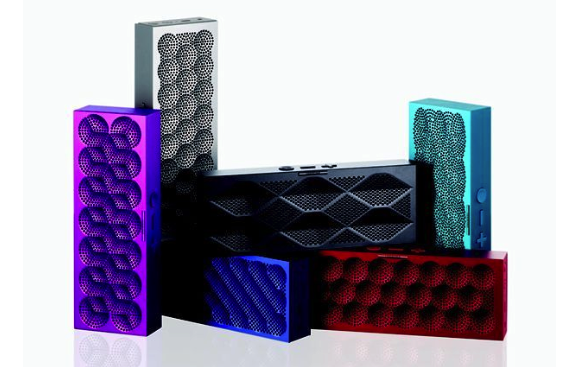 And on Wednesday, Jawbone unveiled its third portable Bluetooth speaker: the Mini Jambox. Tim Pryde, senior director of audio project management for Jawbone, explained to TechHive that while the original Jambox was portable, the Mini Jambox is truly pocket-sized: “You can carry it around with you like you carry your phone,” he said. 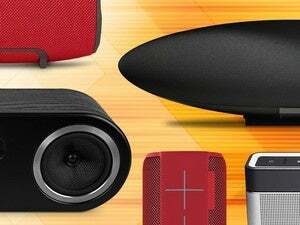 That portability makes the Mini Jambox perfect for when “you’ve got this great video you want to share, but no can hear it on your phone,” Pryde said. “It’s great for impromptu conference calls or FaceTime calls, too.” The Mini Jambox, likes its two predecessors, also functions as a Bluetooth speakerphone. Like a unibody Mac, the Mini Jambox’s metal chassis is one single piece of aluminum; that aluminum, Pryde explains, does double duty as “the skin and the skeleton” to maximize the Mini Jambox’s volume output. Inside the speaker sit two drivers, a passive radiator, and the microphone. 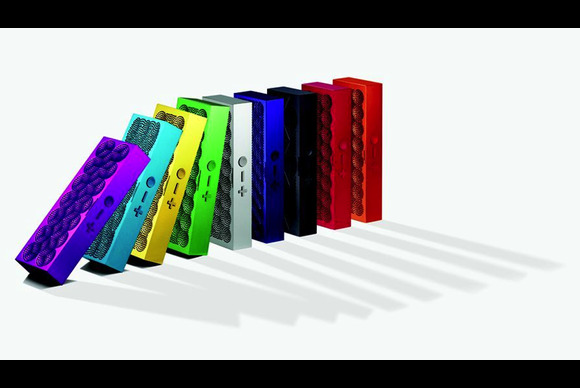 In addition to the new Jambox, Jawbone also took the wraps off The Jawbone App, newly available for iPhone and Android. (The Android version doesn’t yet have all the features of the iPhone version, but should by the end of the month.) The app includes the option to merge playlists from services like Spotify, iTunes, Rdio, and others, so that you can access all of your music in one place. The app also gains some of the functionality of the Jawbone Web service formally known as MyTalk, and now called simply My Devices. That Web service—and the updated Jawbone app—allow users to customize features like the virtual 3D sound plug-in LiveAudio, the speaker’s voice, and more. We’ll have a full review of the Mini Jambox soon—our unit arrived on Tuesday—but Pryde says Jawbone’s goal is for the small speaker to sound “great in any audio situation.” He says that the Mini Jambox gets just as loud as the original version, and that because of the audio processing at work, it sounds even louder. The Mini Jambox is available for pre-order today in nine different colors: red, black, green, grey, light blue, orange, dark blue, yellow, and purple. The speaker begins shipping in mid-September. It offers ten hours of continuous playback on battery power, Jawbone says. The Mini Jambox is impressively portable and offers great sound for its size. You sacrifice volume and bass, but you get 10 hours of audio in a slim package.